GATE [Graduate Aptitude Test in Engineering] is one of the entrance exams for fresh graduates, who are looking for their higher education in top recognized institutes and this score may also be used by Public and Private Sectors for employment screening purposes. This exam primarily tests the comprehensive understanding of the candidate in various undergraduate subjects in Engineering/ Technology/ Architecture in science. Graduate Aptitude Test in Engineering is conducted by all Indian Institutes of Technology in the country and the Indian Institute of Science, Bangalore (IIT & IIS). The GATE score of a candidate reflects a relative performance level in a particular subject in the exam across several years. 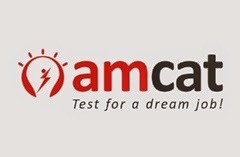 GATE exam is the entrance test for the all the Engineering Graduates, who are looking for higher studies, If they qualify this GATE Exam , That Candidate is eligible for Post Graduates like M.E/M.Tech. Clearing GATE is also an eligibility clause for the award of Junior Research Fellowship in CSIR Laboratories. M.E/M.Tech. Degree is mandatory for those wishing to apply for research positions in R&D centers like the Indian Institute of Science and seven Indian Institutes of Technology (IIT Bombay, IIT Delhi, IIT Guwahati, IIT Kanpur, IIT Kharagpur, IIT Madras and IIT Roorkee). Many public sector undertakings such as BHEL, Indian Oil Corporation, NTPC, Bhabha Atomic Research Centre are using the GATE score for selecting candidates for their organizations. Students who qualify in GATE and a good GATE rank assures a good job. After joining M.Tech at IITs and IISc, one can look at a salary package ranging from Rs 7 lakh to 30 lakh per annum, depending upon specialization and performance. Also Read: AmCAT and its Test Pattern. Ensure that he/she meets the eligibility criteria of GATE. Choose the City of choice to appear for the examination: There are two primary choices and one secondary choice. If you choose a particular city as your first choice, then the corresponding zone to which this city belongs will appear, and you will be able to choose another city as your second choice only from this zone. These choices will be your primary choices in a specific zone. However, a third choice has also been introduced in GATE, which is your secondary choice. The list of 3rd choice cities will be as specified by each zone and this will be used only when your cities of primary choice are not available. However, because of operational constraints, the GATE committee reserves the right to add a new city or remove an existing one, and allot a city that may not be any of the choices of a candidate. In this age of fast track generation, students are found desperate enough to find some notable alternatives for taking their first step to any higher education. The dreams of such aspiring individual are found to be coming alive after seeking admission in the top MBA colleges in India. So there is one the top valuable colleges for management education. As there are many advantages of distance learning, in the same way it is also having disadvantages too. Here is some helpful information about the advantages and the disadvantages of distance learning. Distance Learning: Advantages and Disadvantages Thanks for sharing. MBA is a degree which gives a kind of assurity of good future and career options to the students. This provides world wide jobs with good packages and salaries . That is why it is the top most choice of youngsters to opt MBA as a career.